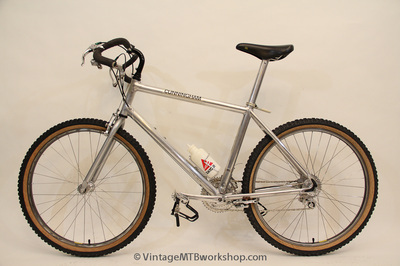 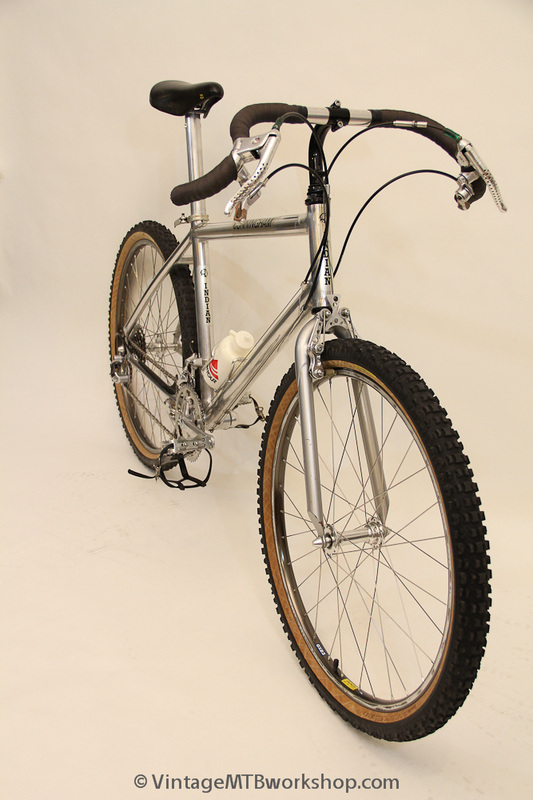 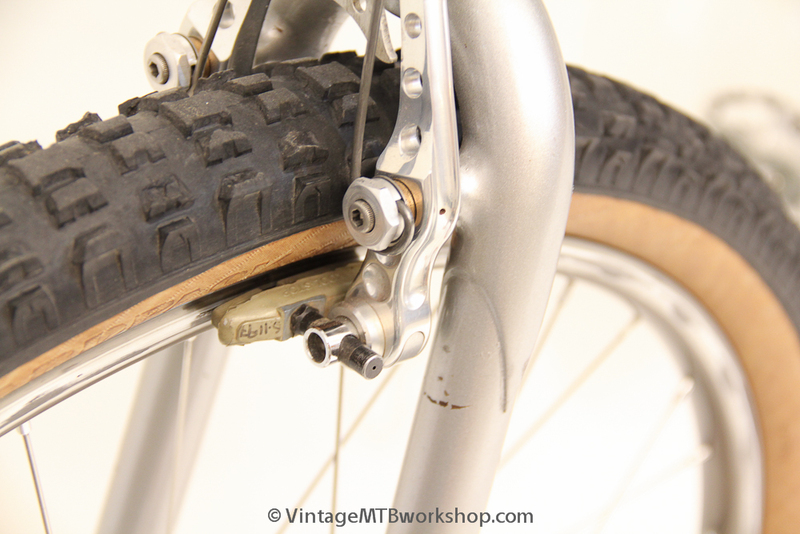 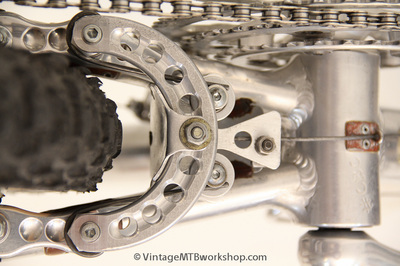 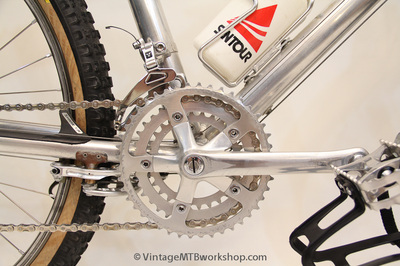 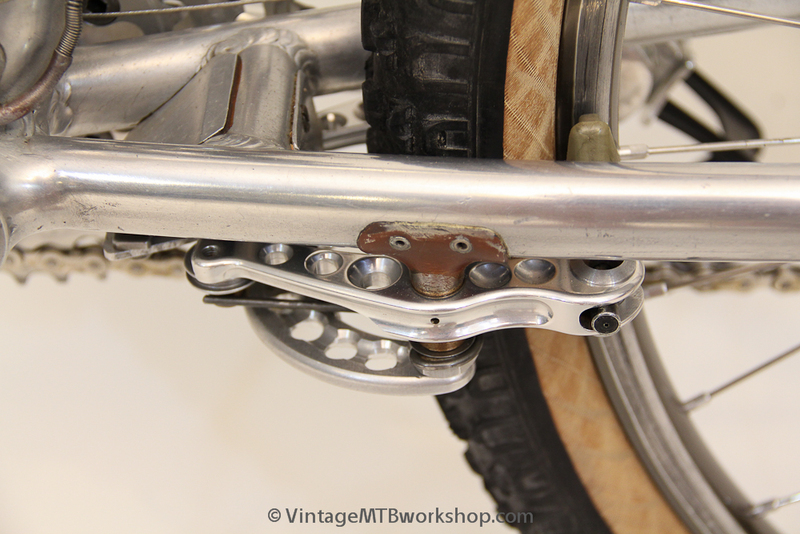 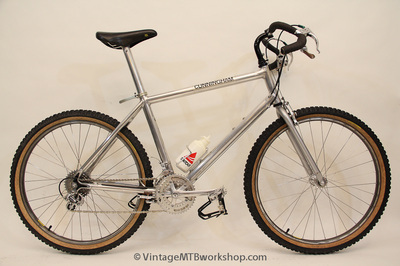 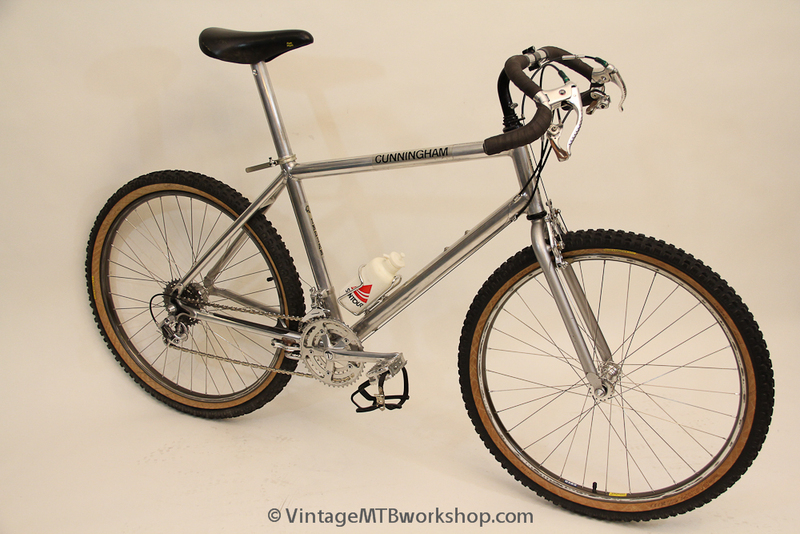 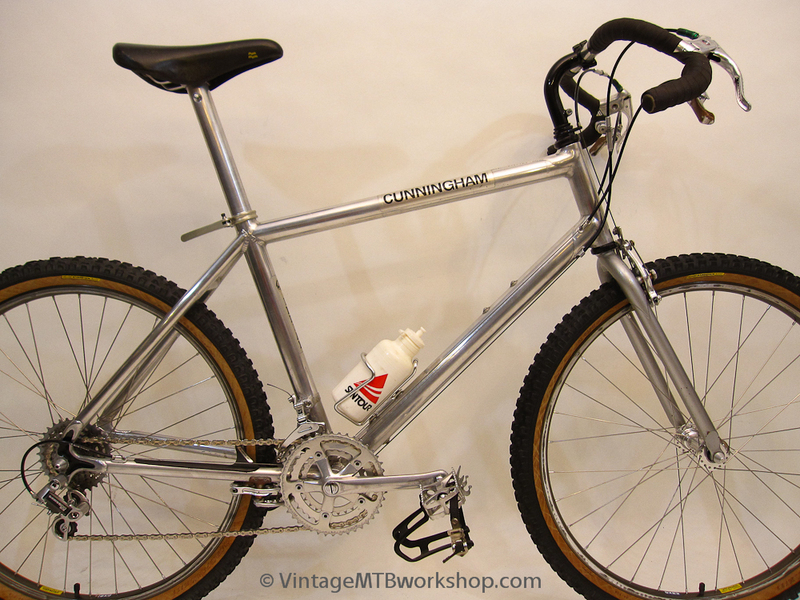 Charlie Cunningham built this Indian mountain bike for himself around 1986 as a "mid-length" model, with shorter than normal stays. 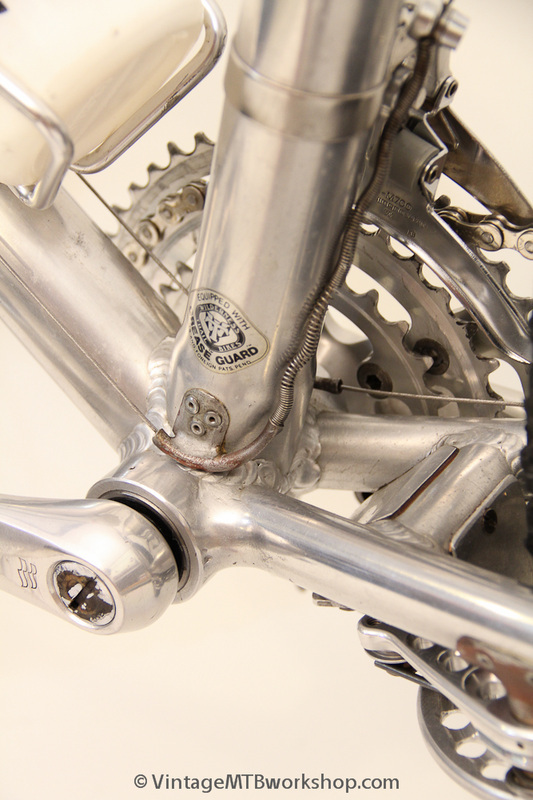 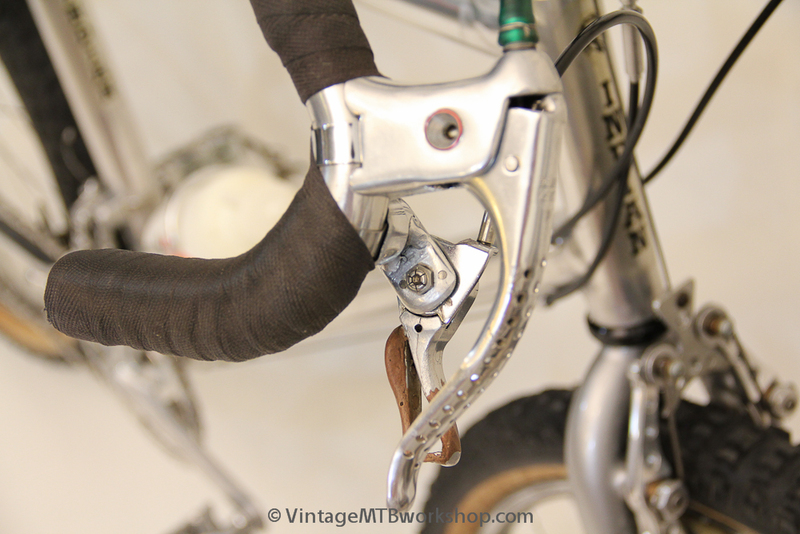 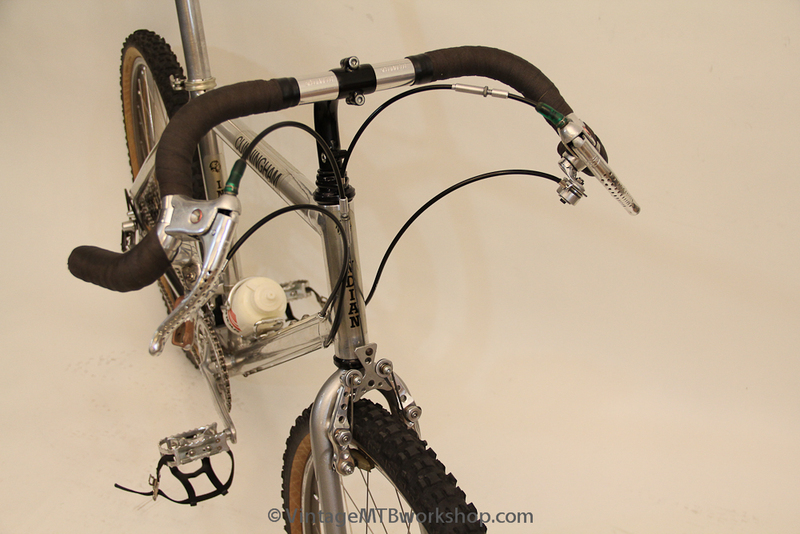 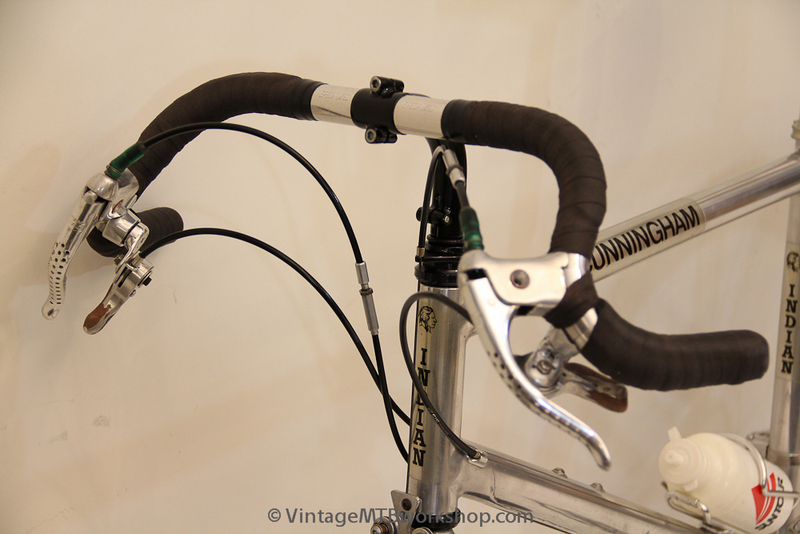 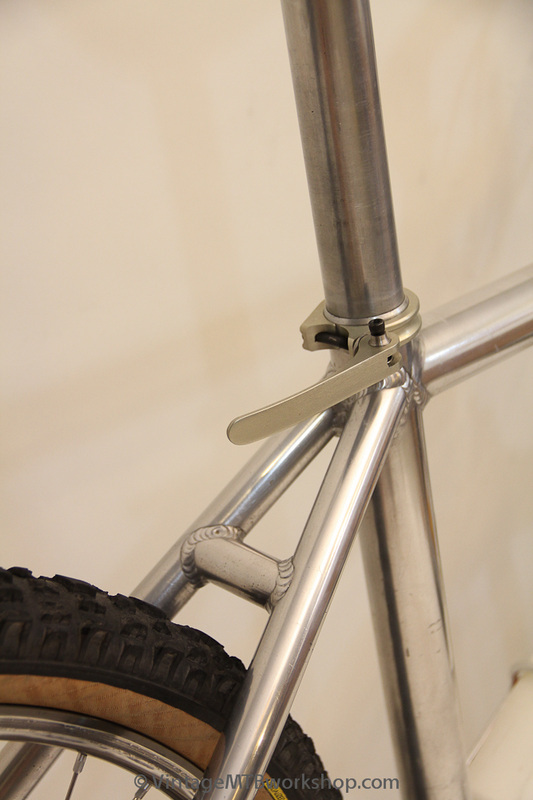 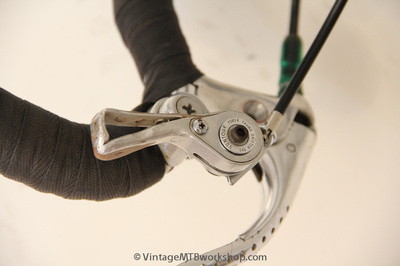 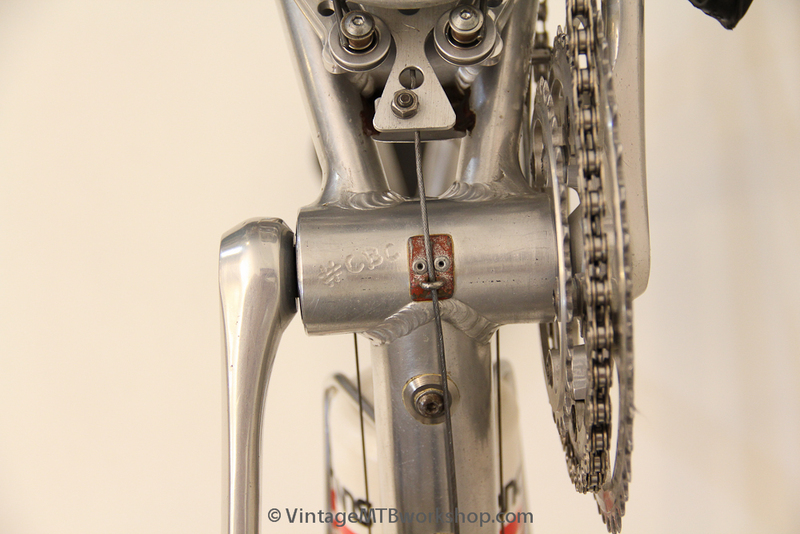 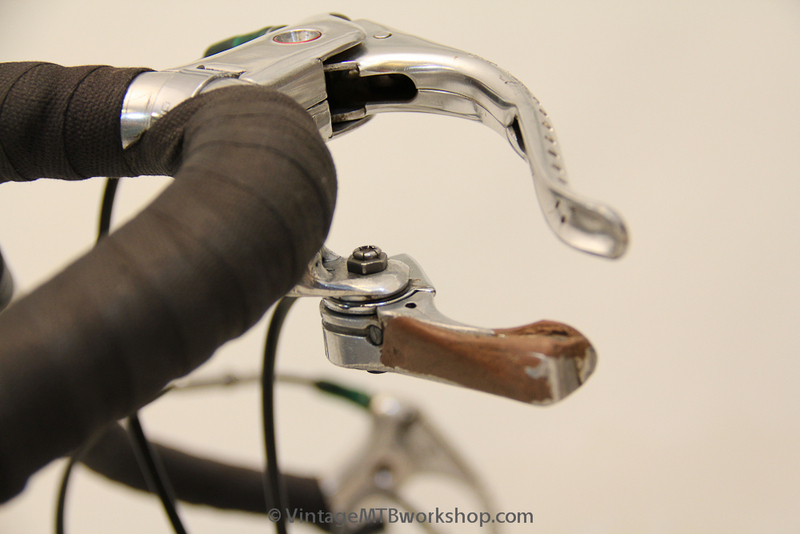 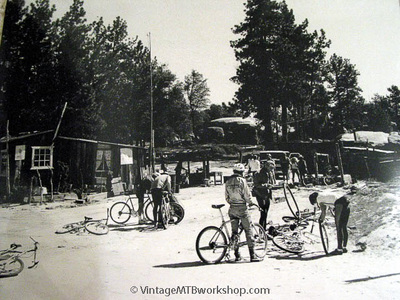 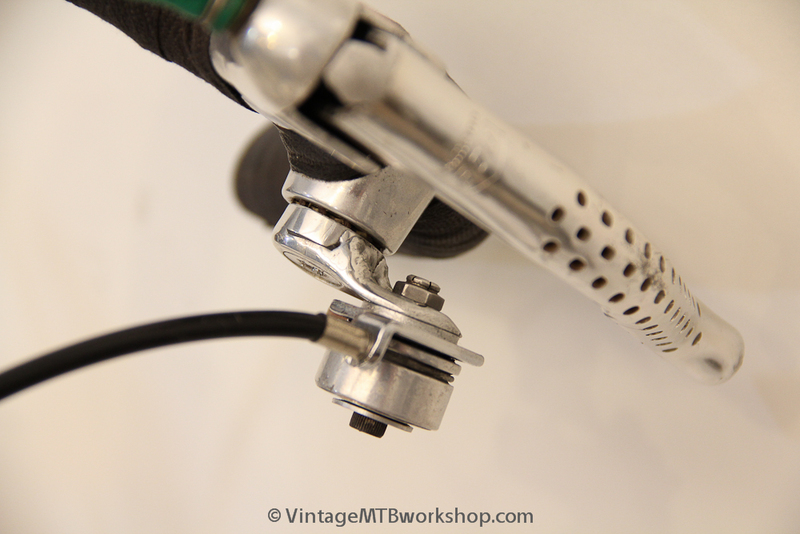 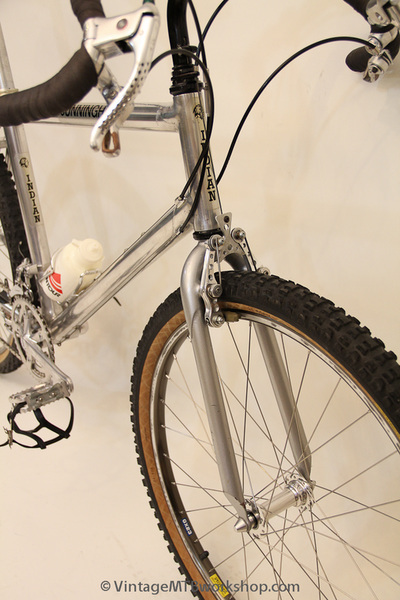 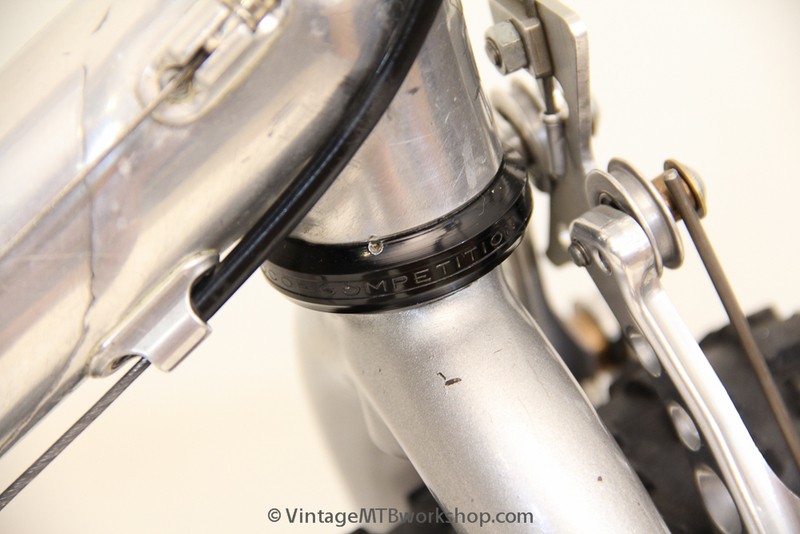 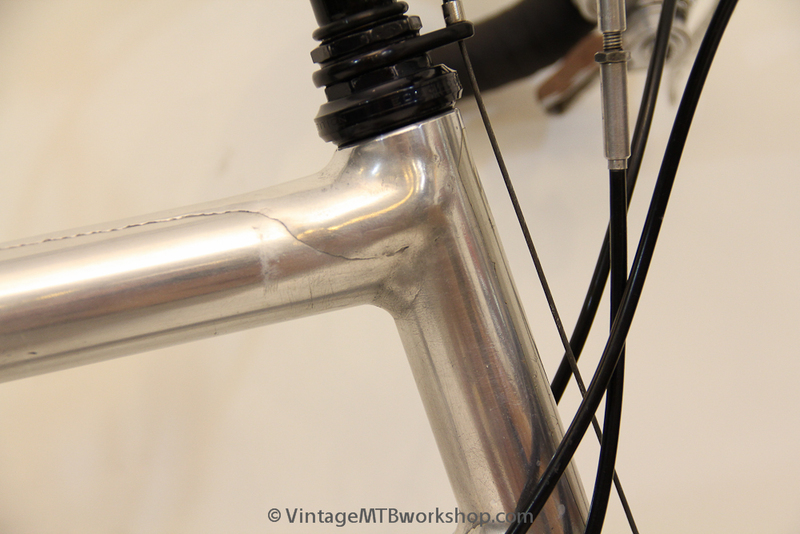 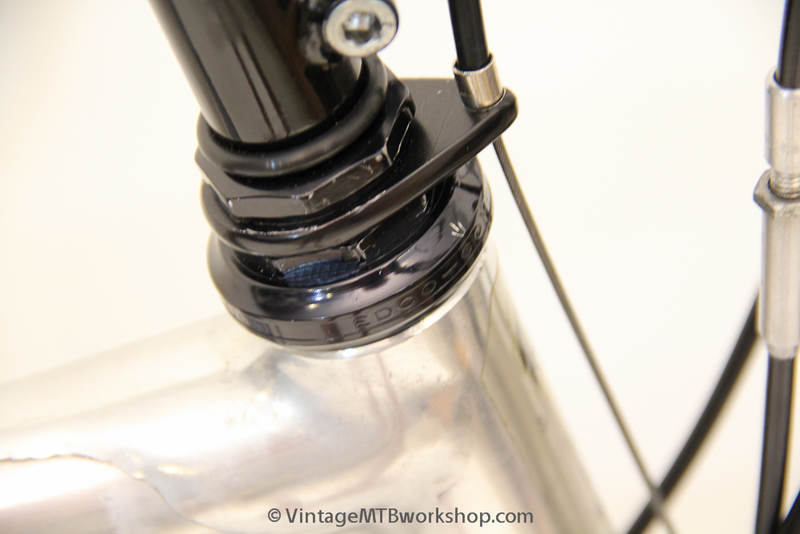 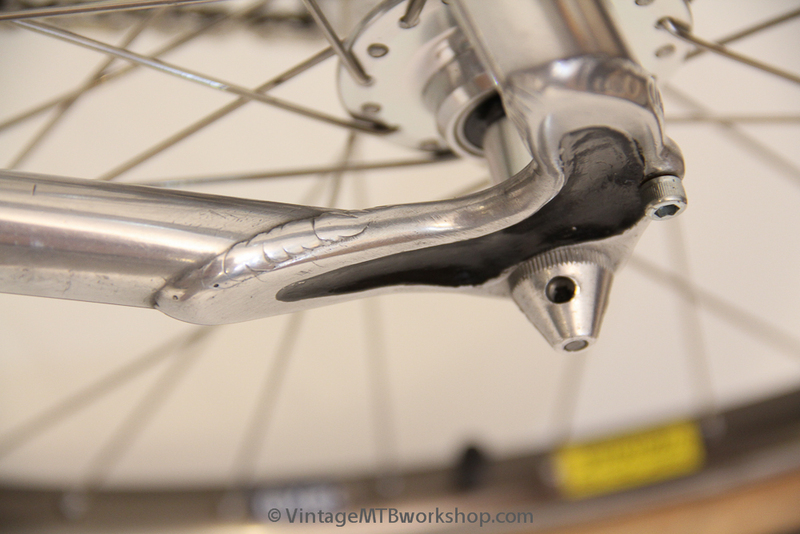 It was an unusual frame setup in that it got a tall 7" headtube with the intention from the start that the bike would be used with drop handlebars, thus minimizing the height of the stem. 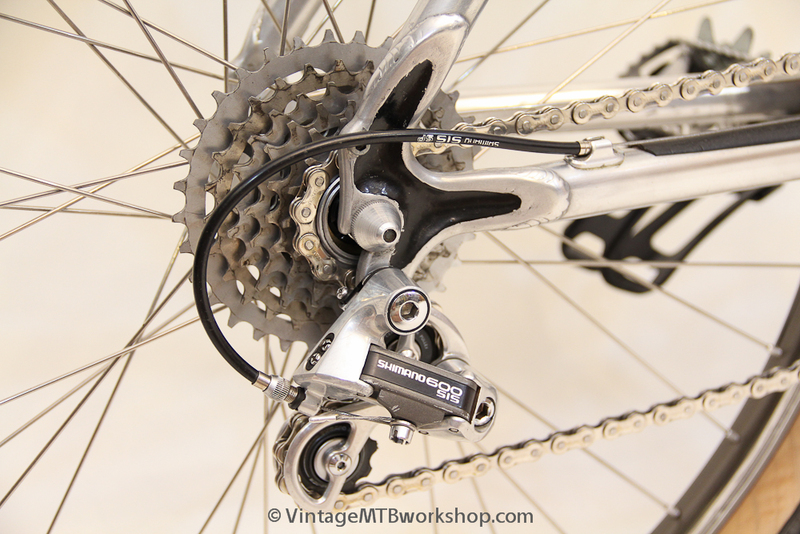 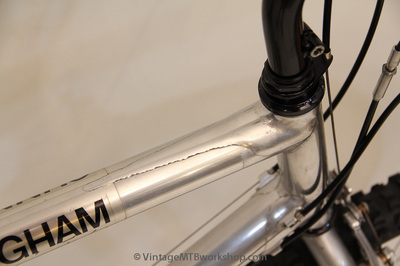 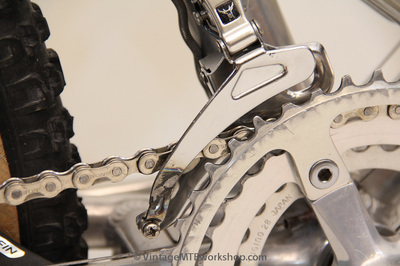 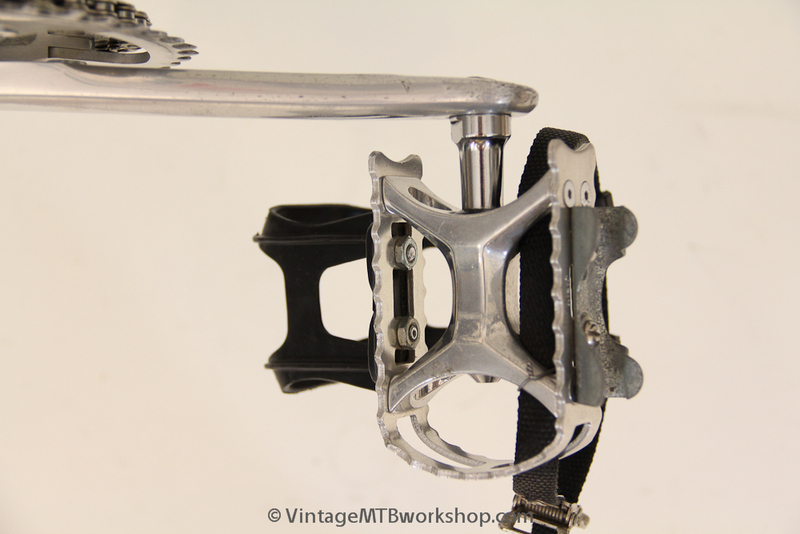 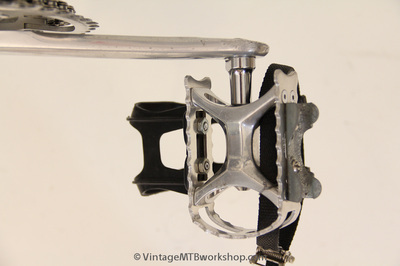 Being a personal bike for someone that is a finesse rider, the frame was built with a lightweight tube set normally found on the Cunningham Team race bikes. It is likely the only bike Charlie ever set up for himself with WTB/Specialized RM-2 drop bars, as he preferred bars with a lot less flare. The bike shows a lot of personal details and special modifications, about 50 in total. 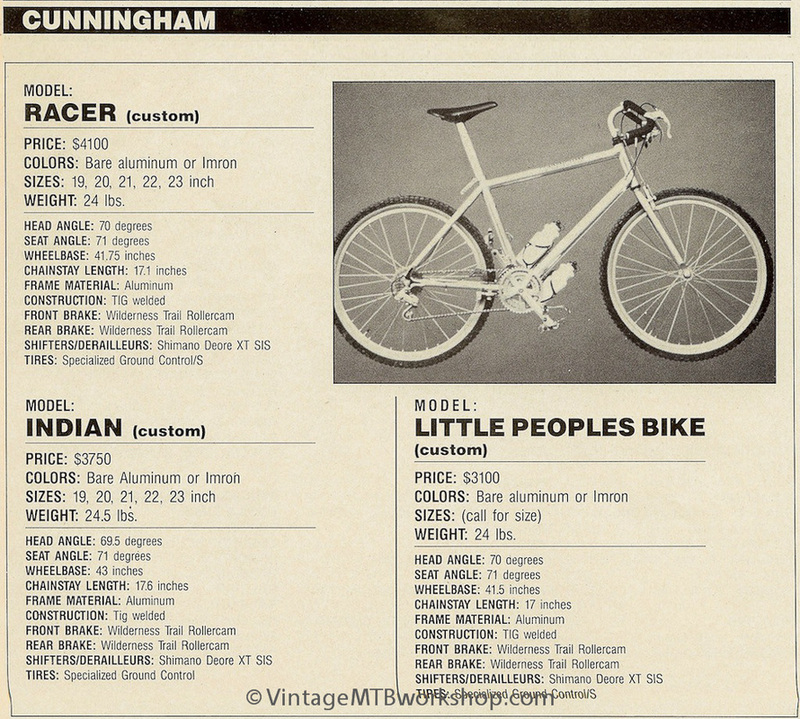 This bike appeared in some promotional material, and was used by Charlie on a fair amount for extended rides, including a trip to Baja. 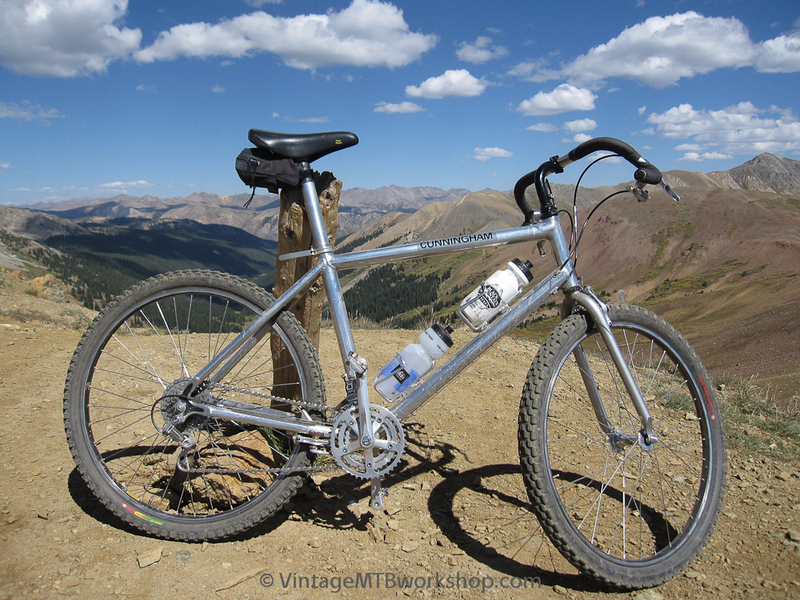 More recently this bike participated in the 36th Pearl Pass Tour.